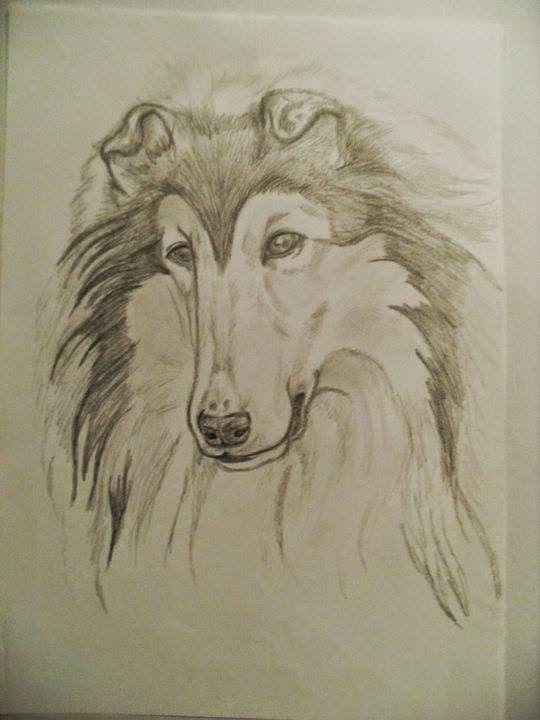 Sometimes, when I'm inspired, and have the time I draw, and most of the time it will involve a collie, altough I do draw other things, I always put a dog into it. I have much improved over the years, luckily. In the period I made this I didn't even put dates to my art and drawings. That is actually a big shame because I wouldn't know when I made it. This is also an oldie, I made this one out of a booklet by a Danish Judge. 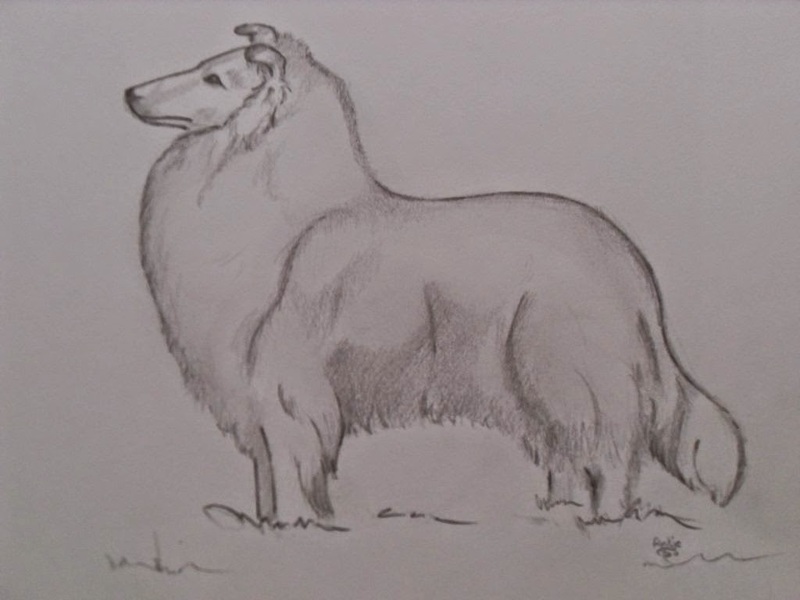 I think this is a collie from the Milas kennels, it was such a lovely picture I had to dry drawing it.